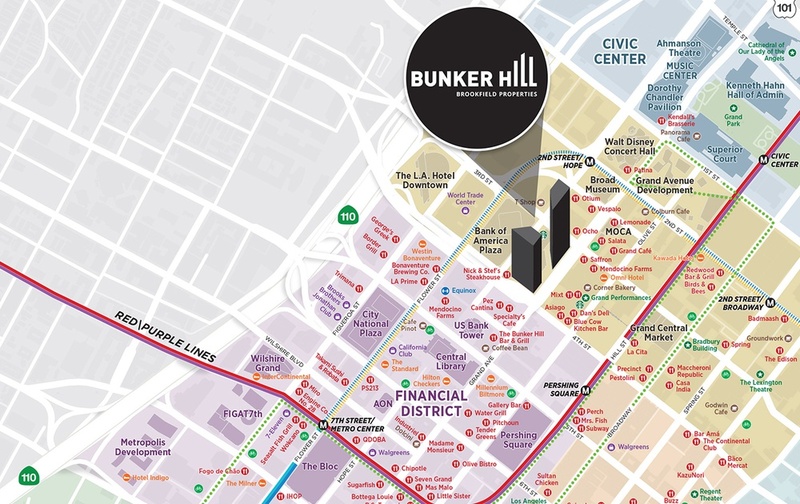 BUNKER HILL IS THE EPICENTER OF CULTURE AND COLLABORATION IN DTLA, A MODERN, FORWARD-THINKING COMMUNITY AND DESTINATION. WE INNOVATE. WE DISCOVER. WE COLLABORATE. WE WORK TO THE BEAT OF INFINITE POTENTIAL, AND WE BUILD TOGETHER TO REACH THE TOP. HERE, SUCCESS IS AN ART, AND PROGRESS HAS A RHYTHM. IT’S TIME FOR YOU TO GET CONNECTED. MEET NEW PEOPLE. TRY NEW FOOD AND DRINKS. LEARN NEW THINGS. CREATE NEW IDEAS. ALL IN ONE CENTRAL, INNOVATIVE LOCATION IN THE HEART OF DOWNTOWN.